Join our tour to learn how Gulf State Park is putting Alabama on the international forefront of showcasing buildings built and operated to be respectful of the environment and resistant to storms. 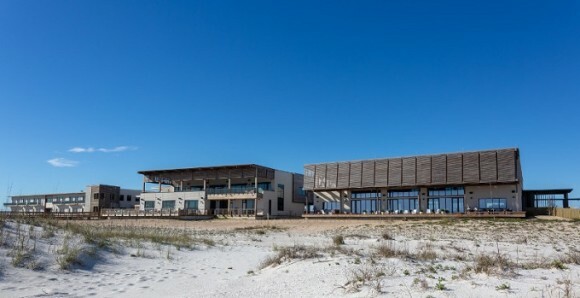 The new Lodge at Gulf State Park opened in November 2018, rebuilt after Hurricane Ivan destroyed the original in 2004. Pursuing the highest levels of environmental certification in the world, the sustainability efforts in Gulf State Park will help protect Alabama’s unique natural resources for generations to come. Along the way, we are poised to become the first hospitality project in the world with such an impressive list of credentials and certifications.